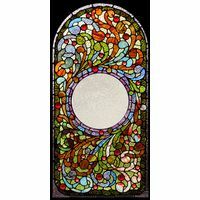 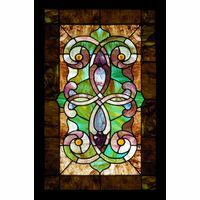 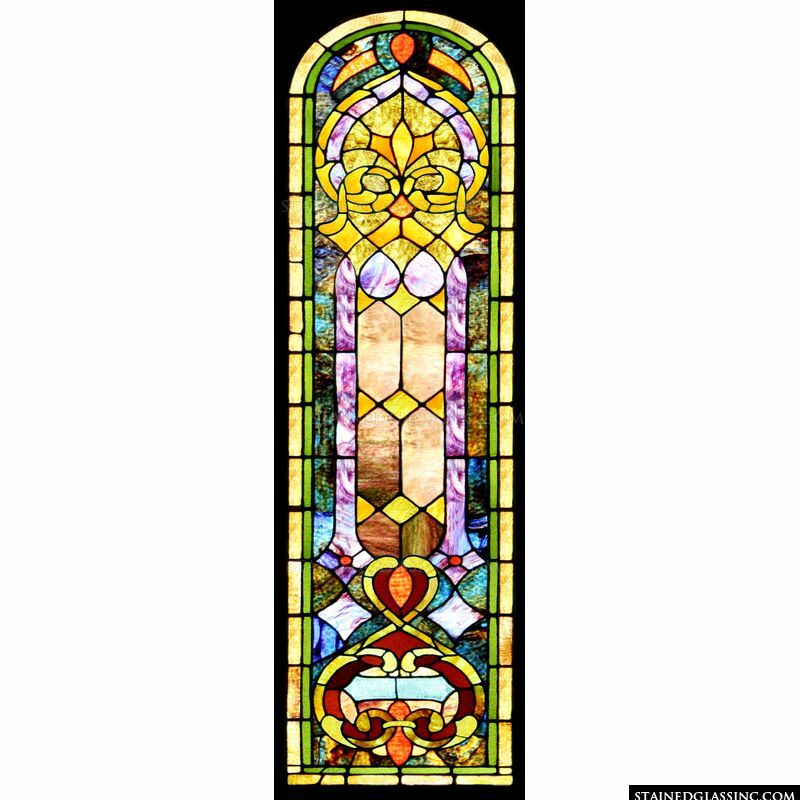 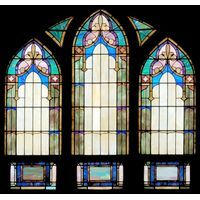 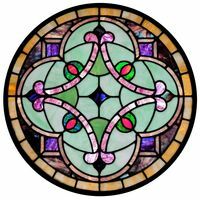 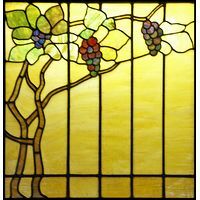 This multihued stained glass art panel is a wonder to behold. 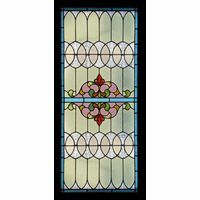 The truly beautiful mesh of colors and complex design attract the eye and appeal to onlookers. 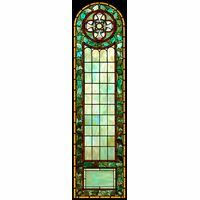 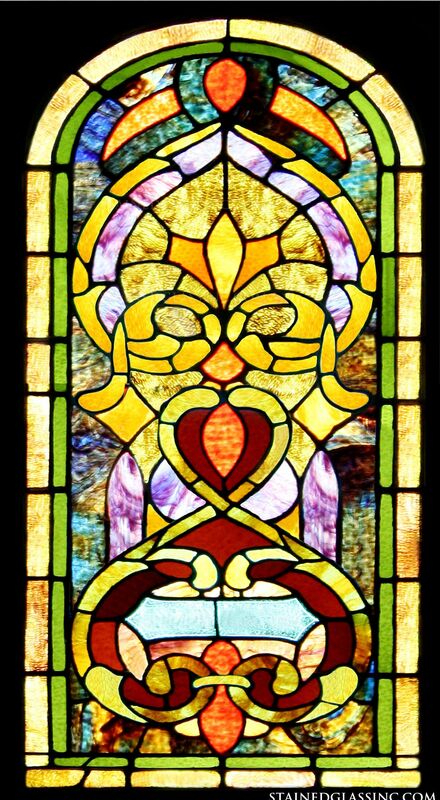 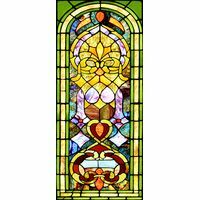 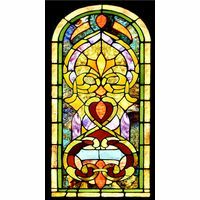 A wonder to behold, this stained glass art panel playfully filters the sunlight and changes the look of any room throughout the day.